You are here: Home / Entertainment / Activities and Events / What to Do, See, and Eat while you are Traveling this year! What to Do, See, and Eat while you are Traveling this year! If you are traveling this year, then you will want to look over this and see if you will be visiting any of the places we have posted about! Lots of insider information and recommendations that we personally love! I have teamed up with some of my favorite Bloggers to offer you an amazing list of our RECOMMENDATIONS of what to See, Do, and Eat in our Home Towns! So, if you happen to be traveling this holiday season, be sure to check out these places! Must See, Do, & Eat in San Antonio, Texas!! Visit The Adventures of My Family of 8 by Clicking HERE! I am new to the area, well, moved here just over three years ago, but since San Antonio is so large, I still consider myself a newbie! I am still getting used to the warmer weather (I moved from the NE) but the thing I LOVE, LOVE, LOVE about San Antonio is that there is SO MUCH to do, especially around the holidays! · University of Incarnate Word is amazing; with thousands of beautiful and colorful lights lighting the trees through the University – it is definably a MUST SEE! We took the kids and they were all in awe! · The San Antonio River Walk – is another MUST SEE! San Antonio prides itself on the wonderful River Walk filled with many restaurants, bars, and events. Even better, during the holidays, they light the way with 1.4 MILLION lights! WOW! · Santa’s Ranch – Santa’s Ranch is a bit of a drive from San Antonio, but well worth it. It is a beautifully organized and put together drive through light show, featuring scenes children and adults of all ages love to see! · El Chaparrel – You can’t come to San Antonio without indulging on some wonderful Mexican food, which is why I recommend El Chaparrel! Not only will you be delighted by the yummy food, but the wonderful environment will make you smile. · The County Line – Another wonderful thing about San Antonio is the BBQ, YUMMY! One of the BEST places to get some mouthwatering platters is at The County Line! Not only are their beef, brisket, ribs, sausage, and chicken amazing, but their breads just melt in your mouth! San Antonio is definitely a wonderful place to celebrate the holidays with friends and family… I wish you all a very happy and safe Holiday Season! Must See, Do & Eat in Boston, Massachusetts!! I was born and raised in Boston and anyone who doesn’t live in a cold weather climate always questions why I would want to stay in Massachusetts. I won’t deny that it is cold in the winter but Boston is full of culture, entertainment, and history all year round! So if you are going to make your way to the Boston-area make sure that you check out these sites! 1. Regardless of the weather make sure to stop by Faneuil Hall Marketplace. This historic site in the heart of Boston features 35 food stalls, 49 shops, 44 kiosks, 18 full service restaurants and a comedy club. There are often live performers and entertainment as well as events such as the Candyland Tournament or tree lighting ceremony. Not only is this a great spot to bring the whole family for a day but it is also a perfect spot to start your day and then head out to see the rest that Boston has to offer. Faneuil Hall is within 5 minutes walking distance to the New England Aquarium, The Old State House, The Children’s Museum and Paul Revere’s house. Further away but still within a reasonable distance are Fenway Park (home of the Red Sox), The Boston Public Garden, and the Museum of Fine Arts. The adults can plan to come back to Faneuil Hall in the evening for dinner, drinks and dancing! 2. If you are a lover of authentic Italian food, there is no better place to eat than the North End in Boston. There are over 86 restaurants featuring the most scrumptious Italian food in the North East. There are so many amazing restaurants to choose from that you will want to come back to try them all. If you do check out the North End, make sure to leave some time to walk around and see the building and the streets in the area (Prince St and Hanover St come to mind). It is such a quaint little sub-section of Boston and the area is rich with culture that it is nice to sit back and take it all in. There are often Italian feasts and festivals being hosted so be sure to do some research on events being offered during your visit. Lastly, make sure to leave some room for a cannoli and hot chocolate at Mike’s Pastry on Hanover Street. This shop is infamous in Boston and there is always a line out the door to partake in their amazing desserts. 3. The last recommended spot to check out is actually not in Boston but it is a must see if you have the means to travel about 35 minutes outside of the city. Patriot Place is located in Foxborough, Massachusetts and is the home to the New England Patriots. Sitting adjacent to the impressive stadium is an outdoor mall with dining, shopping and entertainment. Some of the highlights are The Hall at Patriot Place (Football related), 5Wits (Interactive spy themed adventure), Cinema de Lux, Bass Pro Shops and more! In the winter there is also outdoor ice skating while the stadium looms above. There is something for everyone at Patriot Place and it is truly a family friendly adventure even if you are not a football fan. Must See, Do & Eat in Richmond, Virginia!! Visit Frugality for Less by Clicking HERE! ~ The James Center in Downtown Richmond decorates every year with reindeer and Christmas lights on the building. You will find these between 9th – 12th and Cary Streets. While you are there, enjoy a horse and carriage ride through Downtown (weekends only, please click on “Downtown” for the schedule). ~ If you are in other parts of town around Richmond, you may want to check out News Channel 12 for a listing of Holiday Homes. ~ Lewis Ginter Botanical Garden has a “Garden Fest” of lights nightly from 5-10pm. For more on Carytown eating and shopping, visit their site HERE. If you are planning on visiting Utah this holiday season, then here is a Visitor’s Guide to help you make the most of your trip! There are tons of great and fun activities for you to do while you are here! 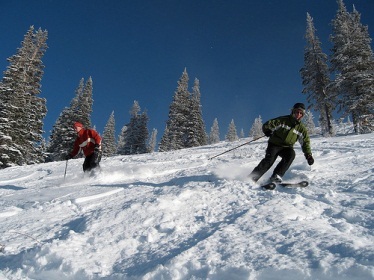 One of the most popular for Utah is Skiing! I personally have never skied before, because I grew up in southern Utah where there wasn’t much snow, and now that I am older, and just haven’t been able to find the “courage” to do it, plus I have four small kids…BUT my brother in law loves to snowboard (he is really good) and I have LOTS of family and friends that really loving skiing. So if you are visiting, make sure you try to get to one of the ski resorts. There are 9 of them within 50 miles of Salt Lake City: Alta Ski, Brighton, Deer Valley Resort, Park City, Snowbird, Solitude, Sundance, The Canyons, Wolf Mountain Resort. 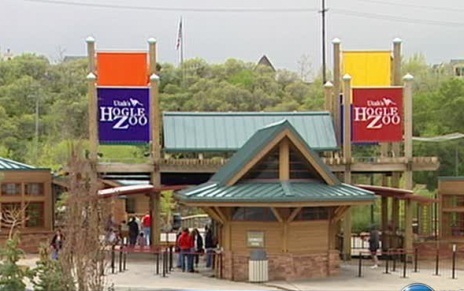 Some other fun things to do while you are here are visit Hogle Zoo (and see the Zoo Lights), Red Butte Gardens, This Is The Place Park, Living Planet Aquarium, and the Olympic Oval in Kearns, and the Olympic Museum in Park City. (There are just so many things to list; this is only a small part). Two more things I have to put, if you are an outdoorsman, are the Waterfowl Hunting and the Ice Fishing! These are both great activities and lots of fun! My husband has spent many hours doing both. There are three great places to go waterfowl hunting in northern Utah area: The Bear River Migratory Bird Refuge, The Public Shooting Grounds, and Salt Creek WMA. Two Great places for ice fishing are: Strawberry Reservoir and Echo Reservoir. 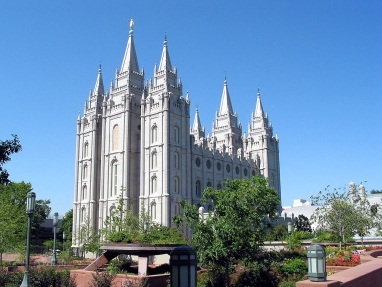 While you are here enjoying the activities Utah has to offer, be sure to check out these Historic Landmark locations: Temple Square, Memory Grove, The Eagle Gate, The Great Salt Lake, Festival of Trees at Expo Center, Gardner Village, Christmas Utah (5631 Whispering Pine Circle (5631 South 820 East) Midvale, UT 84047), and Christmas Street (3200 Royalwood Dr Taylorsville, UT 84118). There are also some really great places to eat here in Salt Lake! Some of the favorites are: Bambara, Melting Pot, Stoneground, Market Street Grill, Squatters Pub Brewery, Red Rock Brewing Company, and Spencer’s for Steaks and Chops. Written by Lisa Carey for the Houston Family Examiner; to see the FULL Article – Click HERE! Whether you are visiting Houston, Texas this year or you are lucky enough to live here there are several can’t miss holiday happenings that will make and keep your holidays merry and bright. Here are a few of my favorites. Must See, Do, & Eat in Fort Lauderdale, Florida!! Visit Teach Me 2 Save by Clicking HERE! Young at Art Children’s Museum – Offers a variety of activities for your children. Flamingo Gardens – Offers 60 acres of lush gardens, exotic and native plants. You can explore native wildlife in the Free-flight Aviary and Everglades Wildlife Sanctuary with exhibits of birds and animals. A Latte Fun – Offers an amazing indoor playground. C.B. Smith Park – This 299-acre park offers a water park that includes waterslides and a tube ride, a large campground, a tennis complex, a family golfing center, and much more.Rapids Water Park – Features 35 water slides, a lazy river, waves and a full day of fun for the entire family. Santa’s Enchanted Forest (Although this is in Miami it is definitely worth mentioning) – Enjoy South Florida’s tallest Christmas tree, over 100 rides, live shows, games, attractions, millions of dazzling lights, hundreds of themed displays, festive Christmas music, and delicious foods from around the world (My personal favorite being Elephant Ears), live entertainment and carnival rides suited for the entire family. There truly is something for everyone! Skate Las Olas – Enjoy the magic of ice skating at Las Olas Boulevard for a month-long event under the sun and stars. Children and Adults can “skate” in their 1,800 square foot outdoor rink on the Lawn at the Riverside Hotel. Fort Lauderdale Christmas Pageant – Features familiar Christmas carols, Inspirational contemporary songs, and a musical drama of the nativity and life of Christ performed by hundreds of kids. It also offers a spectacular snow-filled winter wonderland. Chanukah Winter Wonderland on Las Olas – Enjoy Food, Skating, Rides & Activities such as a bounce house. Christmas at the Oasis – You can witness a living nativity, go Ice Skating, see Snow in south Florida, listen to Christmas music and much more! Symphony in Lights – Located in the Village at Gulfstream Park, it is done daily from 6pm-11pm Every hour on the hour. Drive-Thru Live Nativity – Drive through and see biblical scenes, live animals, Christmas Lights & More. (we did this last year and it was beautiful). Holiday Fantasy of Lights at Tradewinds Park – The three-mile route includes dozens of static and animated light displays and illuminated trees. Rainforest Cafe – known as a “Wild Place to Shop and Eat, ” recreates a tropical rain forest and offers delicious food. Jaxson’s Ice Cream Parlour – Known as South Florida’s Favorite Old-Fashioned Ice Cream Parlour and Restaurant and is home of the Original Kitchen Sink® and Mile Long All Beef Hot Dog. Excellent ideas to spend the time ! !